Complex fertilizers (also known as compound fertilizers) are made from mixing two or more of macro-nutrient type fertilizers. They may also be further blended with elements that provide some of the less-common plant nutrients (known as secondary or trace nutrients such as Sulfur, Calcium and Magnesium). Compound fertilizers can be packaged and distributed in liquid or granular form. 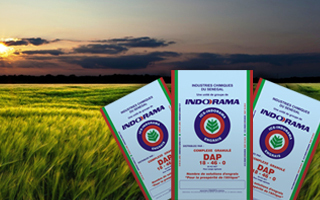 A numbering system is used to define the percentages of the three essential plant nutrients. For example, a 20:20:10 fertilizer would contain 20 percent Nitrogen, 20 percent Phosphorus and 10 percent Potassium. Secondary nutrients and trace elements are typically listed. Compound fertilizers are sometimes more expensive than a physical combination or blend of the primary nutrient sources, as they require additional processing. Nitrogen is the nutrient that most commonly needs to be carefully managed and reapplied during the growing season. It may not be feasible to supply sufficient Nitrogen in advance of planting to meet the entire demand (using only compound fertilizer) without over applying some of the other nutrients. It may be advisable to use a compound fertilizer early in the growing season and then later apply only Nitrogen fertilizer as needed. 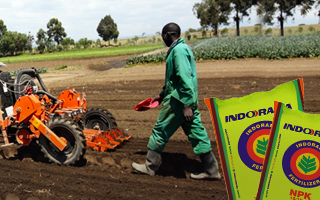 Compound fertilizers are usually produced regionally to meet local crop needs. There is a wide range of chemical and physical properties that can be adjusted to meet these needs. Pre-plant application on a small area can be done by scattering fertilizer over the entire area and the tilling it into the soil. Broadcast pre-plant application is suitable for larger areas, after application, till the soil to incorporate the fertilizer and decrease the chance of run-off if rain occurs. To avoid poisoning the plants, especially tender young ones, dilute the fertilizer into a bucket filled with water. Use that solution to water your plants. This method also helps the plant absorb it easier. After watering the plant with fertilizer, water it another time, this time with regular water. This second watering is done to remove fertilizers that may have dropped on leaves and stems. Unwanted fertilizers on leaves might cause damage and corrosion. Direct application to individual plants or plants in rows can be done by pouring the fertilizer into a clean, dry bucket, then walking down the row dropping the fertilizer next to plants. Avoid dropping the fertilizer directly on plants, as the chemicals can burn them. Use a small amount, around one tablespoon each for small plants. Direct application to row crops can be done with a cultivator equipped with a side-dressing apparatus. This apparatus consists of a hopper with a wheel to drive a dispensing mechanism and chutes to direct the fertilizer to the row. Nitrogen (N) is essential for plant growth and is part of every living cell. It plays many roles in plants and is necessary for chlorophyll synthesis. Plants take up most of their Nitrogen as the ammonium (NH4+) or nitrate (NO3-) ion. 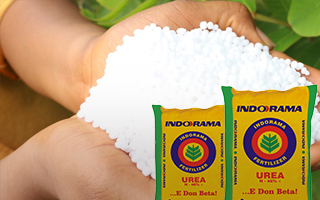 Some direct absorption of urea can occur through the leaves, and small amounts of N are obtained from materials such as water-soluble amino acids. One of three primary nutrients, Phosphorus (P) is essential for plant growth, and a plant must access it to complete its normal production cycle. Plants absorb Phosphorus from the soil as primary and secondary orthophosphates (H2PO4- and HPO42-).